Temecula, California, June 19th, 2018 – ZebraSci, a leading provider of parenteral packaging inspection equipment and combination product testing solutions for life sciences organizations, is pleased to announce the appointment of Justine Young to the senior leadership team. The appointment is key to driving sustainable growth and expanding technical leadership to better serve the life sciences industry. 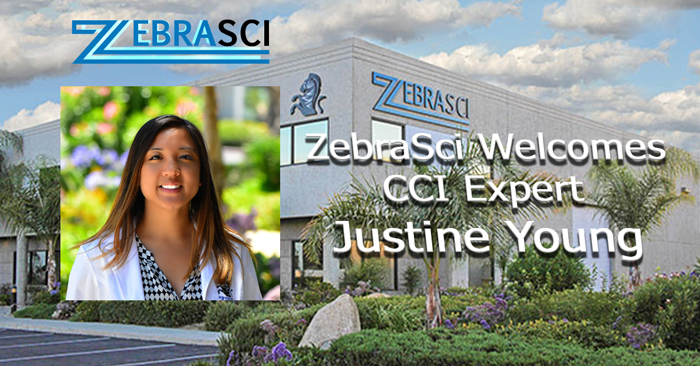 As Associate Director, Laboratory Operations, Justine brings to ZebraSci many years of laboratory operations experience coupled with technical expertise in container closure integrity (CCI) testing. Justine also has vast business development knowledge and proven management skills, reliably elevating organizations performance and delivering consistent year-over-year revenue increases. Prior to joining ZebraSci, Justine previously served as head of the Container Closure Integrity Testing team at Whitehouse Laboratories. Justine is a speaker on the topic of CCI and package integrity testing and is a contributing author to the pending revision of PDA Technical Report 27. She holds a Bachelor of Engineering from Stevens Institute of Technology, Hoboken, NJ and is currently pursuing her Master of Business and Science from Rutgers University, Piscataway, NJ.